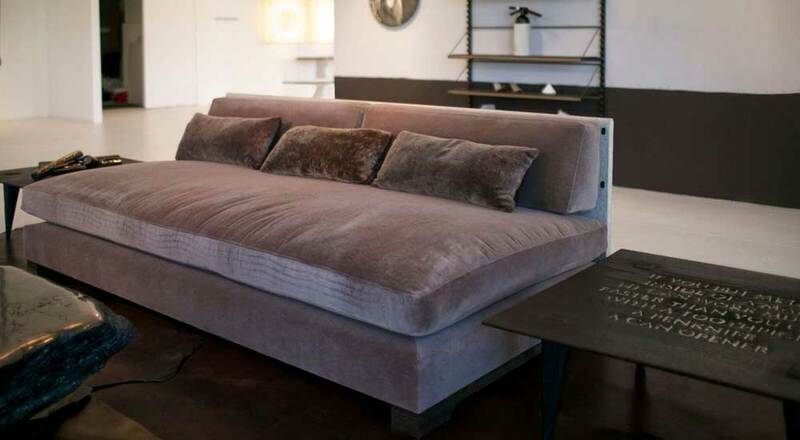 With its 48" depth, the Sofa King invites you to crawl in, curl up, and stay put. Built with a hand-tied coil spring unit in the lower frame, topped with a down and feather wrapped interior sprung cushion which is firm yet luxuriously comfortable, and covered in Alpaca velvet. Backboard covered in 100% wool felt finished with handmade leather buttons. 'Pallet skid' feet made of stacked bridle leather. COM available. Hex metal frame with mesh support. 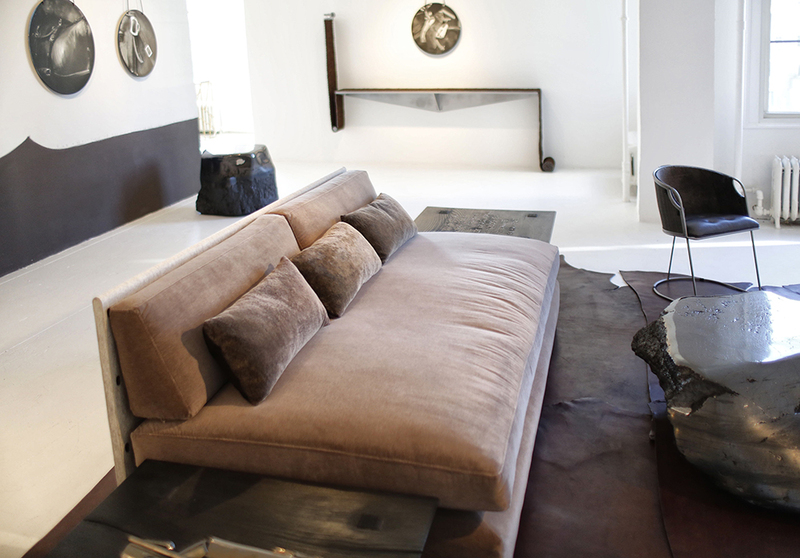 Cushion and "coffee bean" pillow in shearling/suede. Cushion also available in leather on request.